I believe that our nation and the whole world are in the greatest famine in history. The famine I speak of is not in faraway sub-Saharan Africa or Southern Asia. It is in our midst - and it is much worse than anything we could ever imagine. 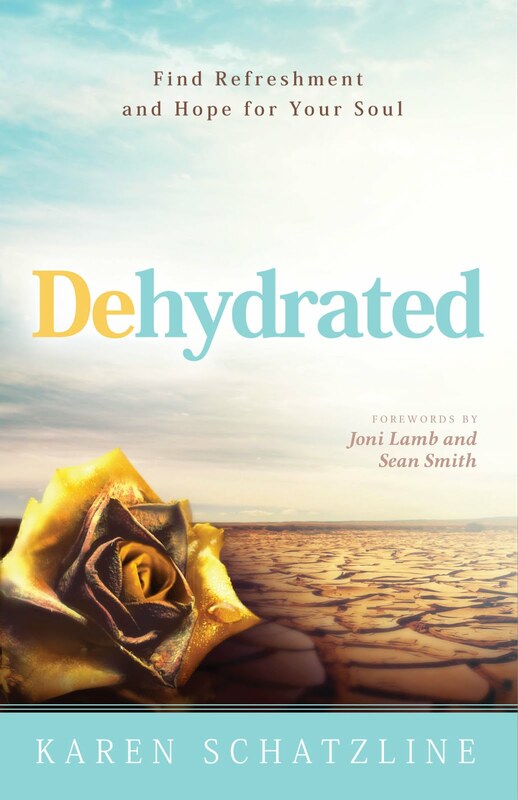 This famine is in the hearts of men and women who are dehydrated and desperate for the water of the Holy Spirit. It is a famine for truth, and for the Word and presence of God. Truth is so despised in our culture that it is now seen as hate speech. In this toxic environment, the enemy of truth is silence. People are starved for truth! 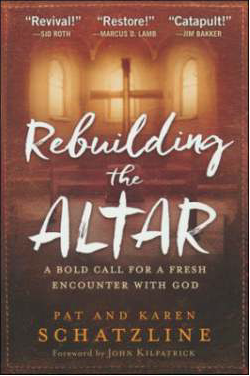 My husband, Pat, and I have traveled across the nation, and everywhere we go, we see people at the altars, bent over with the deep longing for refreshing. They are thirsting for the truth - the streams of living water. The truth changes us. Jesus declared in John 8:32, "You shall know the truth, and the truth shall set you free." The woman at the well was desperate for the living water. 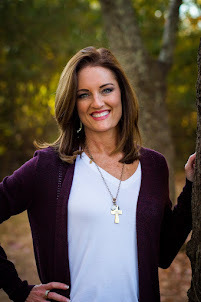 Her encounter with Jesus awakened her to the truth of God's freedom and purpose. 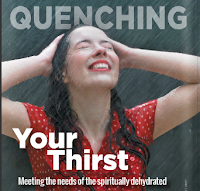 We must awaken this thirsty generation to their season of refreshing! We ought to have a burden for them! There is a prophet in the Bible we rarely hear about. His name is Amos, which means "burden bearer." Amos carried a very heavy burden. He lived in a time when indulgence and perversion had overtaken the people of God. They worshipped God but had very little relationship with Him, much like many people today. What I love about Amos is that he came out of nowhere. He didn't come from a long lineage of prophets. He was a simple shepherd and farmer who had a word from God. Amos was a "minor prophet" with a big burden. Amos made clear in his writings that he did not come from a family of prophets, nor did he even consider himself one. Rather, he was "a grower of sycamore figs" as well as a shepherd (Almost 7:14-15). Amos' connection to the simple life of the people made its way into the center of his prophecies as he showed a heart for the oppressed and the voiceless in the world. Amos wrote about injustice and made sure people knew that God was their Judge. In today's culture, we work so hard to tell people about God's love that we forget to remind them that He is also our Judge. Amos did not make that mistake. He knew that destruction was coming and used word pictures to get his message across. He was like the guy who stands on the corner holding a sign that says, "The end is near!" No on wants to make eye contact with a guy like that, but they desperately need to hear from him. Jesus told the woman at the well that "whoever drinks of the water that I shall give him will never thirst. Indeed, the water that I shall give him will become in him a well of water springing up into eternal life" (John 4:14). He also said that her people, the Samaritans, did not know whose they were worshipping (John 4:22). They had no idea what to worship. So when the woman met Jesus, she didn't even know what was missing in her life. She was lost and searching for answers because her people, her husbands and even her false religion had rejected her. She didn't know what she believed. Then she was exposed to Jesus, who knew everything about her. He not only knew her past, but He loved her enough to awaken her future. She was suddenly aware of the living water that He offered and of her own thirst. It's time that we allow God to awaken our thirst again! As we pursue the living water, we must lead others to it. In our pursuit of God, we should live so purely and passionately for Him that it produces a thirst for more of God in all whom we encounter. The culture is calling us to worship everything except the one true God. in their search for truth, many have settled for the lies that are disguised as the real thing. We are in constant pursuit of things that can never fulfill us. Without God, fleshly desires, promotion, acceptance and selfish ambition only leave us empty. He is what we really need. Our fulfillment must be in Him and Him alone. We must allow our parches spirits to engage a living God once again. The Bible declares: "Come! Say the Spirit and the Bride. Whoever hears, echo, 'Come! Is anyone thirsty? Come! All who will, come and drink, drink freely of the Water of Life!" (Rev. 22:17, MSG). Yes, Karen; you are right! Only the 'Bread' of Life, the Lord Jesus Christ, can satisfy our hunger and thirst; He is King of Kings and Lord of Lords yet His love for us is amazing! thanks! Karen, I'm in the middle of reading your book and it has totally wrecked me. Nearly every page is highlighted. I've even posted a few times some of your quotes on Facebook because of how strongly I feel that other people need to know this! Thank you for writing this book. I, myself, have a blog and hope to one day write my own book. Not quite sure what it's going to be about but until then I'm not going to stop writing. Thank you for being inspirational but most importantly thank you for being obedient to the Lord!